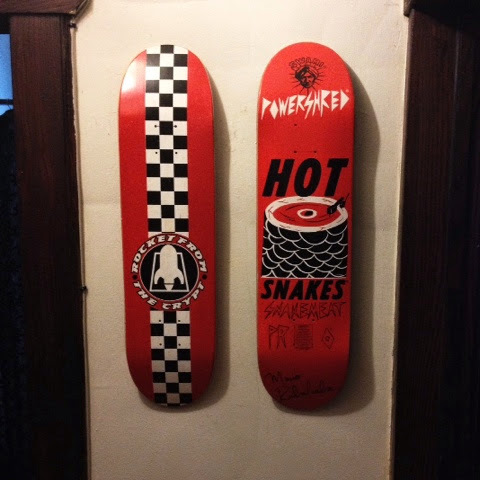 Just because I had a few people ask, here's a picture of my Hot Snakes deck with my new Rocket one. Thanks for posting! I've got to keep my eyes out for one! Would love to add it to my lot of Hot Snakes items. No worries, a few people had asked, so I figured why not!